We have launched the study on the measurement Technology of Micro Geometric Precision of ring raceway surface and the independently developed micro-scale waviness detection system and achieves the nano-level to the micro-geometric precision resolution.It is critical for high speed machine tool bearing manufacturing and development. Independently developed high-speed bearing dynamic inspection system can finish the dynamic quality inspection of high-speed bearings and provide technical support for the bearing high-speed running . KTL has passed the ISO9001 (2008 version) quality management system certification, which has become one of domestic large-scale machine tool bearing manufacturers and undertook the important task of providing precision bearing technology support for the technological innovation and transformation of domestic CNC machine tools. All the key products are numbered,and the information of each process distributed in the field is collected by scanning, and the production process, bearing model, product processing status, processing and quality status information of the processors, inspectors, processing procedures, The management terminal synchronously displaying and backing up to form a quality control network that covers the whole process.The product tracks the quality from the grinding process to the entire process of the user using to form a quality archive with traceability. Super working of ring surface has adopted the world's most advanced ultra-precision bearing technology and its most advanced ultra-precision oilstone processing methods,which effectively improve the raceway surface geometry error and roughness. High-quality closed online testing system can effectively improve the quality control of bearing parts processing to ensure stable and reliable processing quality. 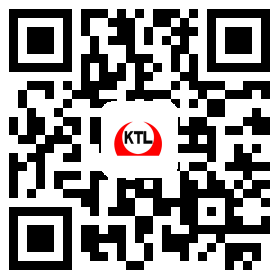 KTL is to provide users with a full range of international bearing product technical support and put the development of the bearing products,the focus of pre-research work on the "international blank,and the exporting of high-end products" with the aim of achieving double win of both supply and demand parties.